Ken Uracius, master mason and owner of Stone & Lime donated his time and travel twice to Tallahassee to advise about repointing the masonry. Thank you Ken Uracius! Bartlett Tree Experts donated labor to trim the "sail" on the live oak on the east side of Spring House and removed a large pecan tree and a big water oak. Thank you Bartlett's! Curt Wilsey from Quantum Engineering Co, PC donated his time and knowledge to make a mechanical assessment of Spring House for our Historic Structure Report. Thank you Curt Wilsey! 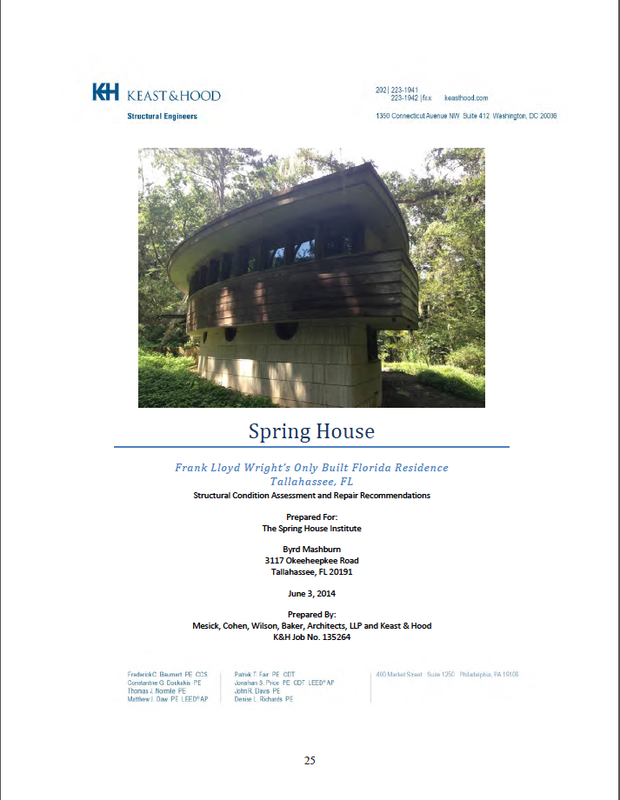 Matt Daw, PE, LEED®,AP from Keast & Hood donated his time and knowledge to make a structural assessment of Spring House for our Historic Structure Report. Thank you Matt Daw! 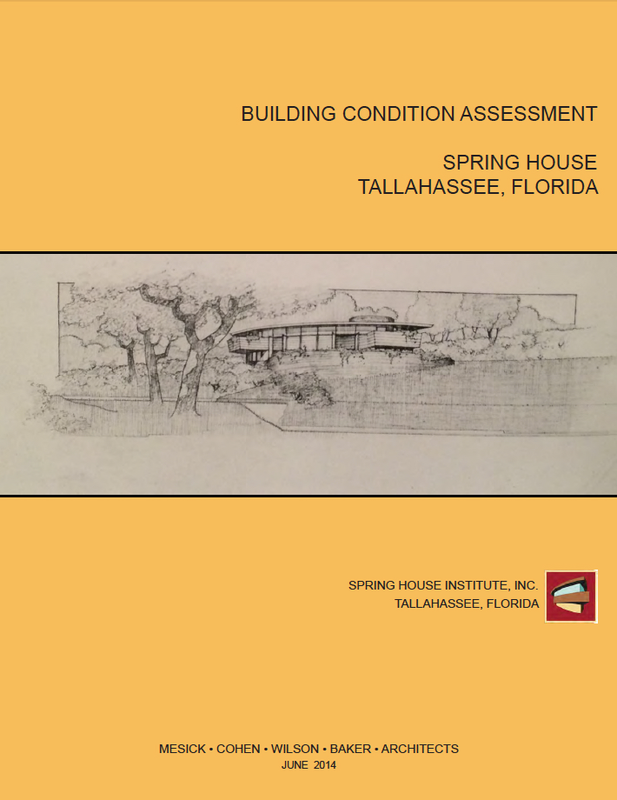 Jeff Baker AIA from Mesick Cohen Wilson Baker Architects donated his time, knowledge and travel to make an architectural assessment of Spring House for our Historic Structure Report. Thank you Jeff Baker! Nils Schweizer Fellows helped design our first website never open to the public. Our current site based on the text, some of the design of that website. Nils Schweizer Fellows took Clifton Lewis, Byrd Lewis Mashburn, her daughter, and Olivia Posner, Clifton's granddaughter with their group to visit Auldbrass, Frank Lloyd Wright's "Plantation" in South Carolina. It was inspiring and played a part in helping Spring House Institute do the work to build our current website and open Lewis Spring House to the public. Thank you Nils Schweizer Fellows! 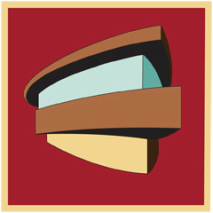 ​Nils Schweizer was Frank Lloyd Wright's supervisor on building Lewis Spring House. His son Kevin Schweizer, an architect also, helped Spring House Institute with our first website and CK Design & Development designed the basic version of our logo. Thank you Kevin Schweizer, CK Design & Development!